WHAT IF I were an international remix DJ? But WHAT IF the booker looks at it then says, “I get it, but why not ‘DJ Jay Lennon?'”? I’d give them a crooked look and explain that phonetically, it doesn’t sound as smooth, and since my business is sound I needed something that really hums. WHAT IF the booker then says, “Sorry, my childhood best friend’s name was John Leno so that’s why I’m sensitive”? I’d lay a hand softly on their shoulder and explain how we’re all reminded of lost love ones at various points in our lives. The key is to not dwell on it, or to have the foresight to avoid it altogether. For example, I met a gorgeous woman named Hanna Remix and decided against pursuing a relationship with her solely because if she died I’d be reminded of her every time I lay down wax at a hype jam, which happens a lot, it’s my job. WHAT IF the booker comes back with, “But if you’d married her she could’ve take your last name”? Then I’d paint a vivid picture of Hanna and how her strong feminist upbringing meant she’d be adverse to the rather archaic tradition of name-taking. WHAT IF the booker has done enough research to be able to respond, “Without that ‘archaic’ tradition your DJ name would be John Muir-Leno”? I’d ask them how they know so much about Jay Leno’s mother. WHAT IF the booker takes off his mask to reveal he was Jay Leno all along? I’d ask if the part about the childhood best friend named “John Leno” were true because Jay does has a brother named Patrick, but likely didn’t have a best friend who shared his last name. WHAT IF he asks how I know so much about him and his family? 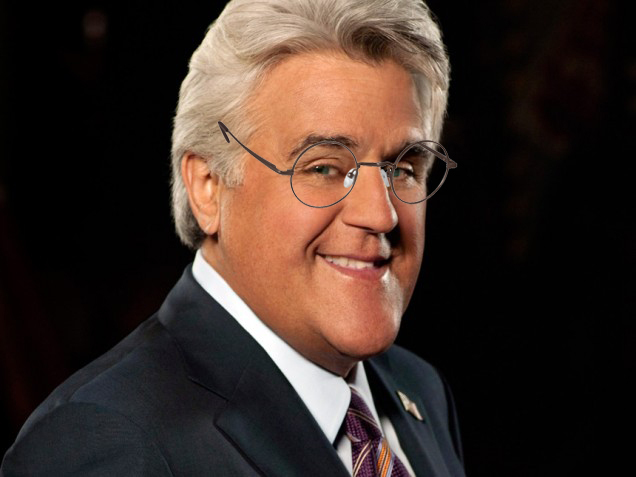 I rip off MY mask to reveal I’m Jay Leno. Impossible, there’s only one Jay Leno. This entry was posted in Uncategorized and tagged DJ, Jay Leno, John Lennon, Wednesday What Ifs. Bookmark the permalink.